(Left) Stephen Paddock is seen in an undated file photo. (Right) The window of the 32nd-floor room is seen shattered at the Mandalay Bay. LAS VEGAS -- The gunman who killed 58 people in the worst mass shooting in modern U.S. history targeted aviation fuel tanks, stockpiled his car with explosives and had personal protection gear as part of an escape plan, the Clark County sheriff said Monday. At a news conference, Sheriff Joe Lombardo also changed some details in the previous timeline of the shooting. Now it appears a hotel security guard was shot prior to the start of gunman Stephen Craig Paddock's killing spree and not, as previously believed, during efforts to locate and stop him after the shooting began. The sheriff said the security guard in the hotel's hallway was responding to a report of an open door and heard drilling from Paddock's room. Paddock, who had installed three cameras to monitor the approach to his suite, opened fire through the door, spraying 200 shots down the hall and wounding the guard, who alerted other security officials. A few minutes later, Paddock began his killing spree. Previously the sheriff had said the guard's arrival in the hallway may have caused Paddock to stop firing. He said he didn't know what prompted Paddock to end his deadly gunfire. Paddock was attempting to drill a hole in an adjacent wall, perhaps to mount another camera or to point a rifle through, but he never completed the work, Lombardo said. Lombardo said they still have not pinpointed the shooter's motive behind his decision to fire on a concert crowd of 22,000 in Las Vegas on Oct. 1 from the 32nd floor of the Mandalay Bay hotel casino. There's still no evidence Paddock was motivated by ideology, and there's no evidence there was another shooter, he said. Investigators have found 200 incidents of Paddock moving through the city, and at no time was he with anyone else, Lombardo said. They haven't found any one particular event in Paddock's life that triggered the shooting, he said. A complete evaluation of Paddock's mental condition is not yet done, Lombardo said. They didn't find any note in his room, only a paper with numbers, he said. Lombardo also confirmed investigators are talking with Paddock's brother Eric Paddock, who traveled to Las Vegas, and continue to speak with the shooter's girlfriend, Marilou Danley, to get insight. People are being allowed to come retrieve their things in groups based on where they were seated, with authorities expanding the offer Monday to include people who were seated west of the stage, he said. Authorities are powering up cellphones and asking people to text their full names to the phones to ensure they are returned to the correct owners. More than 800 people packed into a California church on Saturday to honor the life of Jack Beaton, who died shielding his wife from gunfire. A white hearse carrying the casket of Christopher Roybal, a veteran who served combat during four tours in the Middle East, was led by a procession of motorcycles to McCarran International Airport for a short flight to Southern California. The coroner didn't say when Paddock's body would be released to his family or how long it will be before autopsy results are made public. Eric Paddock told the Review-Journal that he plans to put his brother's assets in a trust that would benefit the shooting victims. He has described his brother as a multimillionaire who considered himself a professional gambler and owned real estate. The family of one of the victims, 56-year-old John Phippen of Santa Clarita, California, has already asked a Nevada judge to appoint a special administrator to take control of the gunman's assets. The attorneys said that's a necessary step to allow lawsuits to be brought against Paddock's estate. The interviews with Paddock's brother Saturday and Sunday were part of an exhaustive search through the 64-year-old's life in search of clues about why he unleashed gunfire from broken windows in the 32rd floor of the Mandalay Bay hotel casino. 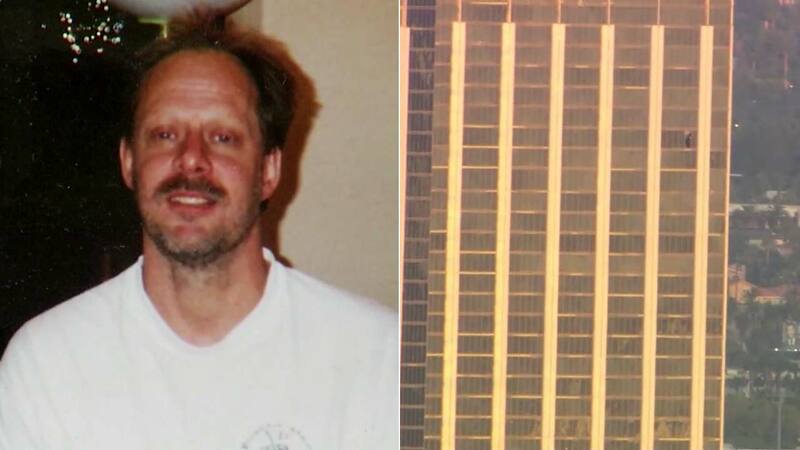 Eric Paddock declined to say what he was asked, but he said he's cooperating with investigators, according to the Las Vegas Review-Journal. He declined interview requests from The Associated Press. "I'm trying to get them to understand Steve's mindset," Eric Paddock told the newspaper. "I don't want them to chase bad leads."